LINQ(Language Integrated Query) introduced in VS 2008. 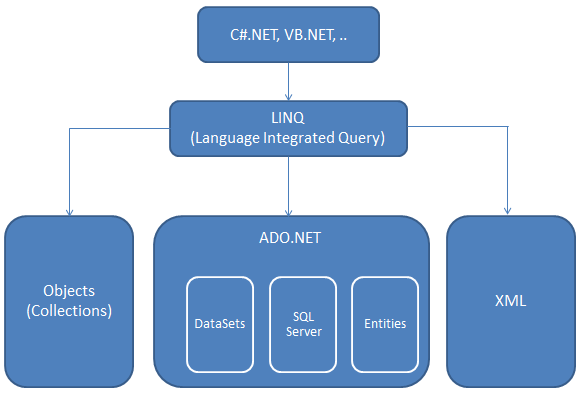 Even though you don't know query languages(SQL,XML,...) you can write queries by using LINQ (In C# and VB.NET). Because you write queries by using language keywords and familier words.